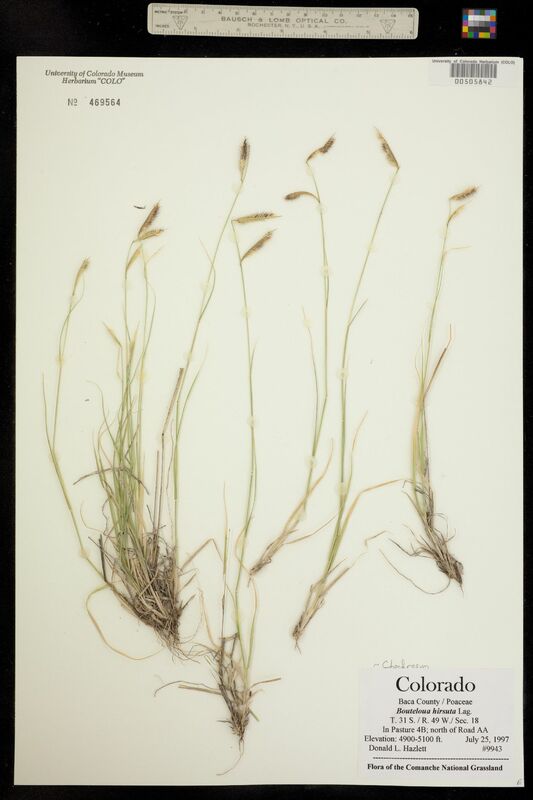 Locality: United States, Colorado, Baca, Comanche National Grassland. North of Road AA. In Pasture 4B. Notes: Original ID: Bouteloua hirsuta Lag. Flora of the Comanche National Grassland.